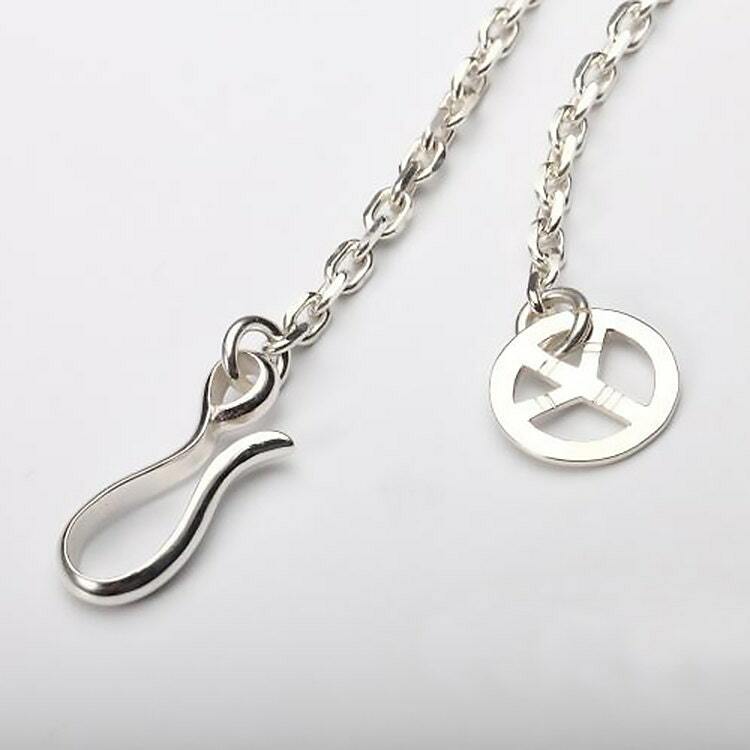 This peace sign necklace is a simple and basic design. 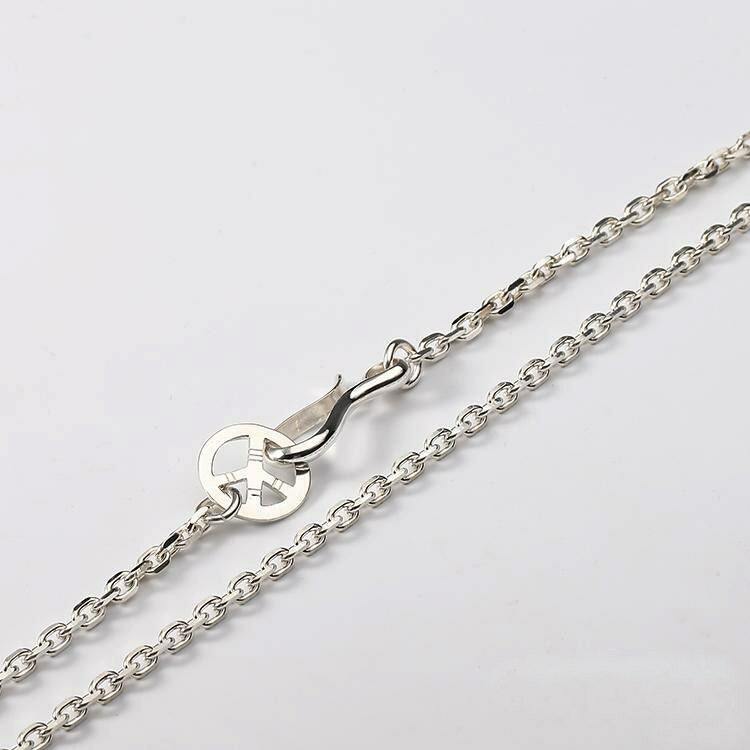 The necklace is a simple silver chain in medium thickness. 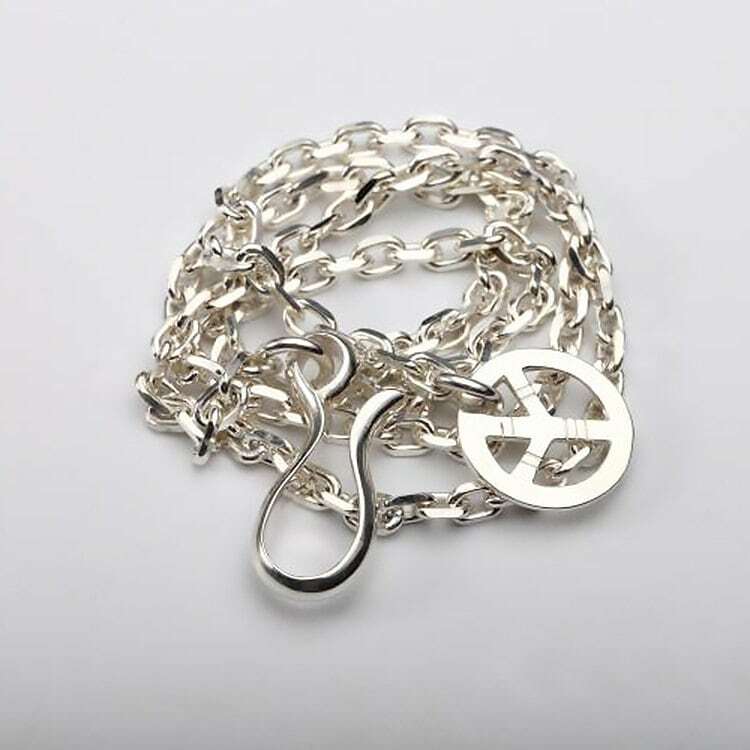 The chain closes with a silver hook and loop arrangement - the loop is fashioned as a peace sign. 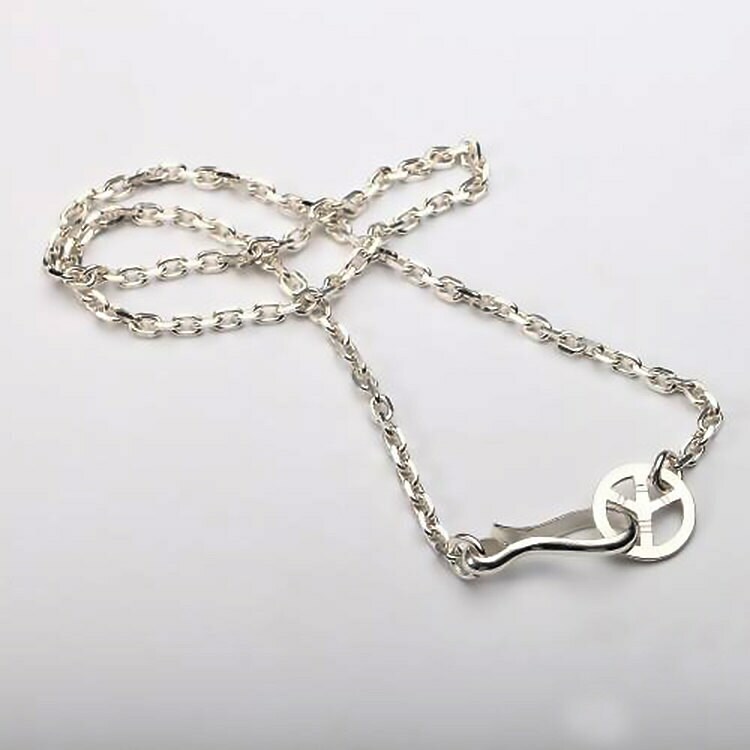 You can wear the simple silver necklace just like that - it is ideal for daily wear. Or you can add more pendants and charms of your choice to build a completely personalized necklace. 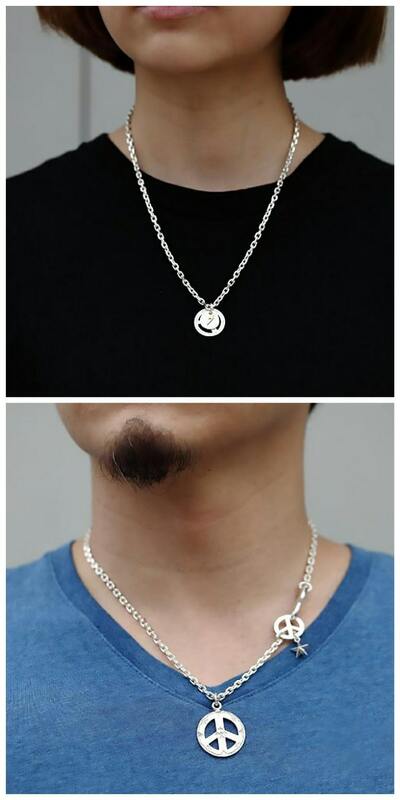 Please note that the models in the above images are wearing additional pendants that are NOT a part of this necklace. But you can buy these pendants separately from our shop.